RGB pure laser is the only projection platform capable of achieving Rec. 2020 color. RGB pure laser projectors use banks of laser diodes in individual red, green and blue color primaries. These diodes are color-mixed to produce a nearly infinite amount of pure, rich colors in the visible spectrum, including pure white light. With advanced design and engineering, Christie has been able to replicate the Rec. 2020 color space using its RGB pure laser projector – an industry first! Bright, bold and vibrant colors can bring a movie to life! One of the major benefits of RGB pure laser is its ability to produce a wide color gamut, replicating Rec.2020, which exceeds the DCI spec. Take a look at the charts to see how each illumination platform compares when it comes to producing colors. RGB pure laser introduces an entirely new dimension of color palette that Xenon and laser phosphor can’t reproduce. In order to appreciate the increased volume of color, we need to compare brightness and color in 3D using the Lu’v’ and IPT color spaces. 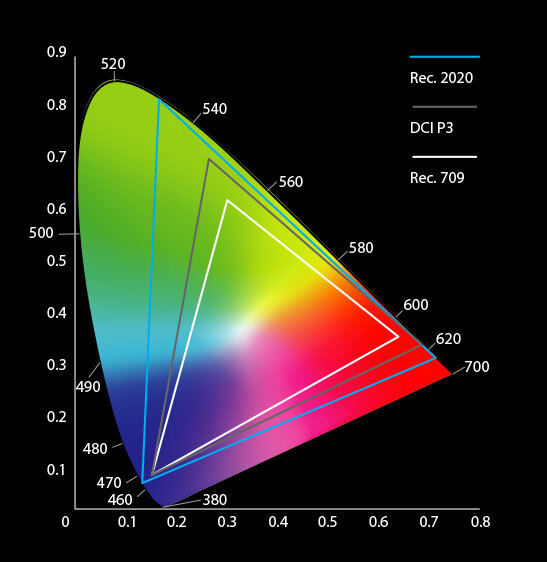 These color spaces take advantage of the most recent advances in color science and more accurately reveal the differences between DCI-P3 and Rec.2020. One of the greatest benefits of an expanded color gamut is saturation. Producing rich, deep and intense colors, RGB pure laser not only provides more realistic visuals on-screen, but also gives content creators and filmmakers access to a greater palette to choose from, enabling on-screen experiences that have never before been possible. 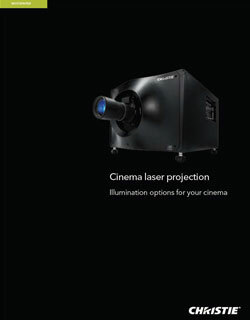 Explore why RGB laser projection delivers a truly superior experience and will soon become the dominant illumination technology for lighting up cinema screens. © 2018 Christie Digital Systems USA, Inc. All rights reserved. Need more info? Contact your sales manager.